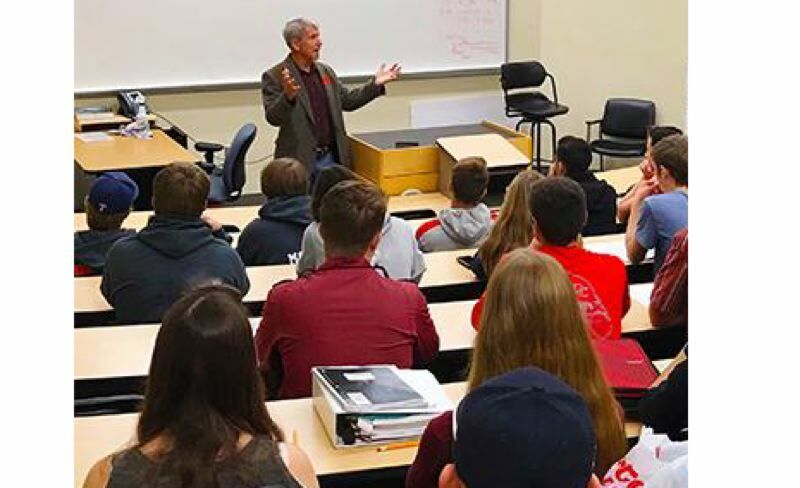 American history students at Oregon City High School had the opportunity to meet with Rep. Kurt Schrader, who discussed the American political system and how they are part of it. Schrader answered questions from students about Congress and discussed ways young people can make an impact on government. "Hearing from the next generation has always been a privilege in this job," Schrader said. "It's critical that they know the vital role their voice plays." At Gladstone High, advanced placement U.S. History students reenacted the Constitutional Convention, held in Philadelphia in 1787. "There was spirited debate among the common citizens, Federalists, and Anti-Federalists as they argued over how the U.S. government should be set up for our young nation," said teacher Matt Misley. "Instead of just reading about how our government was set up I wanted to really engage students in the difficult discussions that took place at the founding of our nation, so we reenacted the Constitutional Convention." Misley added. "Students researched the different viewpoints and had to advocate for their side, ask pointed academic questions to the other groups and think on their toes to respond to questions from the other groups. They were really into it as 'huzzahs!' echoed in support and students hissed, a typical colonial show of displeasure, when others pushed for different perspectives. Some even dressed up! It was a great way to look at historical perspectives."